Alternistors are specifically designed for applications which are required to switch highly inductive loads. 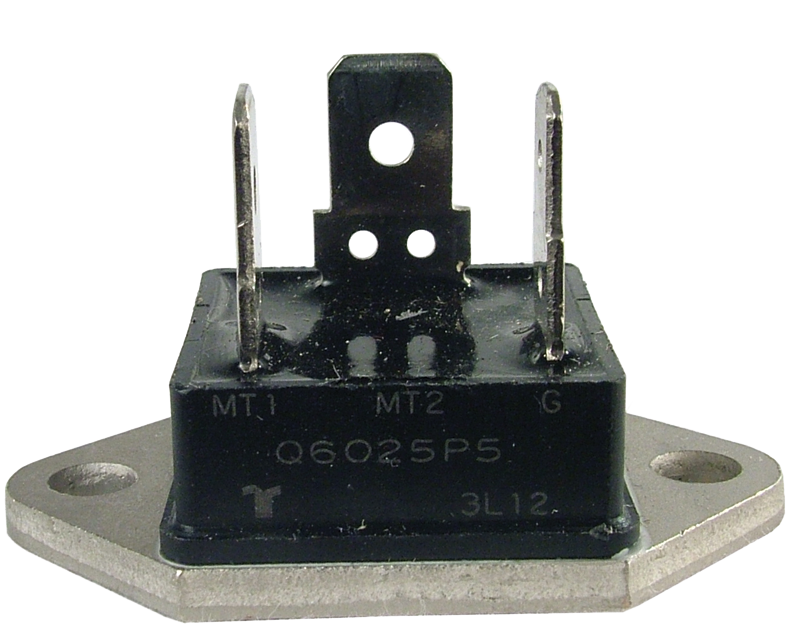 To accomplish this, a special chip has been designed which effectively offers the same performance as two thyristors (SCRs) wired inverse parallel (back to back); hence the alternistor has better turn-off behavior than a standard triac. Packaging Dimensions 1.6 in. x 1 in. x 1 in. Replaced the defective triac in my Peavey Mark 8 Bass Amp. No more blowing fuses and grunting transformer. Fast shipping and fair price.